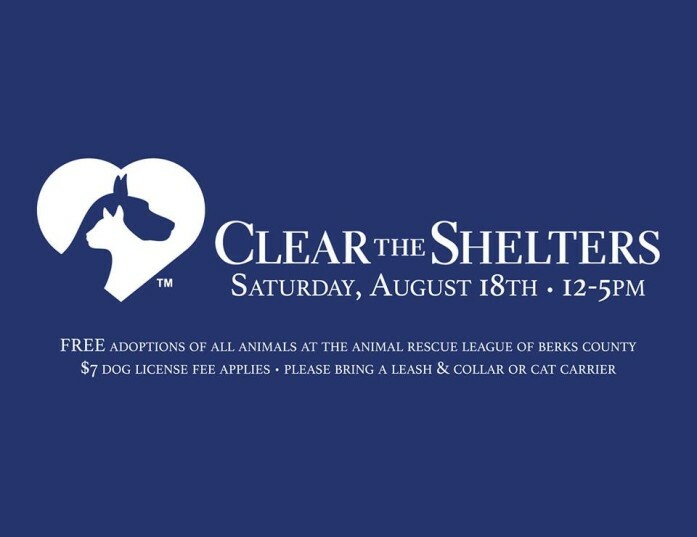 Animal League of Berks County Clearing the Shelter event! Fill your heart by Clearing the Shelter! The ARL is excited to be a part of this national adoption event this Saturday from 12-5 when ALL animals will be FREE to adopt with sponsored adoptions! Please click here to plan your visit!